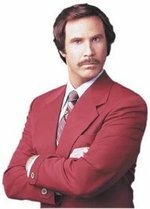 Think they'll have a Dan rally in Dearborn for him? Yeah - maybe when "Goodbye Kwame" parade marches through Detroit, they can make a detour through Dearborn for Dan! I think BB should do a follow up after the finale. Show us all that is going on now with Dan - Memphis, the party and what they did for the 4 or 5 days after the big win!! I think the ratings would be pretty high on that one. Dan looked so shell shocked. Too funny. LMAO--- hey I'd go to that-- worth seeing that. Boooo for one --- cheer for the other!!! THANKS EVERYONE __ YOU"VE BEEN AWESOME!! I"M GOING TO MISS YOU ALL. MAYBE I"LL CHIME IN FOR A.R. what kind of updating is done for TAR? Just during the live shows and discussion? it was a blast people !!! thanks to TL, PEACH and PUDDIN who connived --- oops i mean convinced me to update!! love to you ladies!! and THANK YOU ROB for having such a wonderful place for all of us to become friends with and have fun on!! thank you ugot2, it was awesome having you, hope you come back for next year haha I know no one wants to think about that right now LOL. I do get sad at the end of the show though...cause end of BB = the true end of summer. lovemykiddies --are you going to be updating for TAR?? I'd love to see Renny on their too, with one of her kids or something. 24/7 underground detective work ongoing--we track the show andd take pride in knowing all the details possible beforehand. 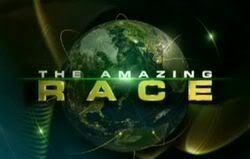 our own beloved TAR 13 and the Amazing Race Asia as well--exactly the same format as TAR and just as much fun. Check them out--love to have you! But no such thing as updating, thank you CBS! I TiVo everything too. Blast through the commercials and have at times, not even watched since I already knew what was going on. I'll probably do that with TAR, too. Watching when I have the time. SORRY UPDATERS --- BUT I VOTE FOR A WINTER BB! The Finale kinda sucked now that I've watched it again. They didn't mention the Renegades or anything creative they did. The wrap party will be sooooooo good. The finale needed to be at least 90 minutes-- better yet -- 2hours! Connived! That couldn't be ME!! Thanks everyone for making this a great season here on RFF! Y'all are special!! No, kk. I'm done. I need sleep. I can't do this again. I've had fun with you, TL, Will, puddin (my honeybun! ), peach, furz and the rest, but I can't do a winter version. I'm hanging up my updating apron and handing it to someone else. ahhh there you are TL!! yes it was you!!! glad you did it though!! love ya!!! noooo more winter additions, ever. Oh wait that season never happened!! It needs to only be once a year like American Idol...there is too much investment that goes on for it to be on anymore than it already is. So, do you think Libra's twins will remember her? Are they walking and talking by now? Is there gonna be a at the wrap party. Why do we never get to see wrap party footage damn it!! That would be a nice way to end the live feeds CBS.